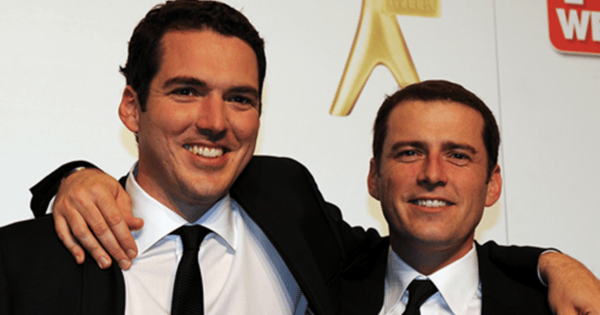 Karl Stefanovic was replaced on-air by his brother... We're not sure anyone noticed. 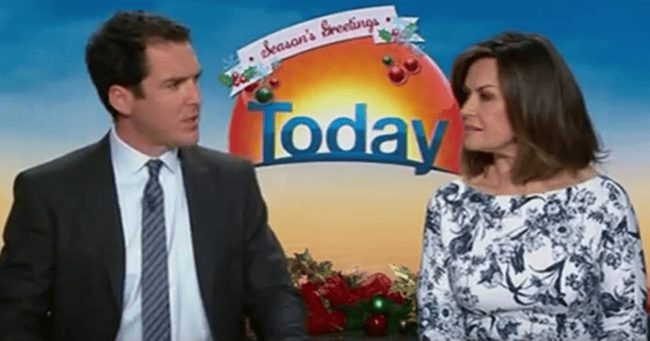 No one noticed when Karl Stefanovic, 41, wore the same suit on the Today show for a whole year. So it’s unsurprising that when he was replaced by his brother Peter Stefanovic, 32, on the show, little heed was paid. After all they look similar, sound the same, and who really watches morning TV anyway? It’s just gentle, inane background noise to ease us out of our sleep-state. As soon as you become fully compos mentis — and hear what the hosts are actually saying — it’s the signal to turn off the TV and start the day. The interchangeability of morning show hosts — particularly those named Stefanovic — will likely come as welcome news to Channel Nine execs. OK, SOME people noticed. Image via Twitter. Karl Stefanovic is currently in contract negotiations in which he is demanding a seven-figure sum — alleged to be $6 million over three years — which would make him the highest-paid star on Australian TV. He’s actually left town for the country as tensions rise with the contract still unsigned, according to the Sydney Morning Herald. Word is, Karl Stefanovic has been flirting with Channel Seven in the hope Channel Nine will give in to his demands. Of course, if they replace Karl, we’ll miss out on TV gold like this… Post continues after video. This tactic may have backfired: “As if we would be paying that kind of money for Karl… have you seen the ratings of The Verdict? It was a lemon and Sunrise continues to dominate the breakfast slot… it’s been a while since he won the Gold Logie,” a Channel Seven insider told the SMH. In conclusion: Channel Nine, if you’re too hard up to afford Karl Stefanovic, simply employ his kid brother Pete.